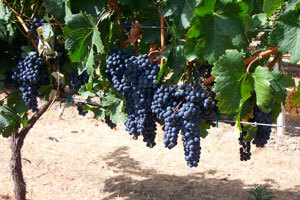 Everything we do at Ridge Vineyards is focused on producing flavorful wines from exceptional vineyard sites. Certifying our vineyards through Fish Friendly Farming is a natural validation of Ridge's commitment to our soil, our vines, our people, and our environment. 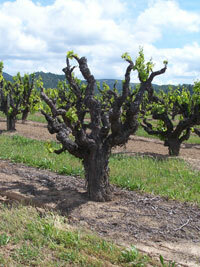 This 50-acre site is situated on the rolling hills between Dry Creek Valley and Alexander Valley. A number of creeks dissect the site. Vineyard manager David Gates uses cover crops and low chemical input on the vineyards to protect water quality in these creeks. As part of their farm plan, Ridge Vineyards will be working with the FFF program to complete a revegetation plan for several of the creeks. In 2003, Ridge Vineyards was recognized with an award from FFF for Excellence in Water Quality Improvement and Protection.